Gulf 104 “Tallahassee’s Home for Classic Hits” is giving you the chance to WIN a voucher for 4 tickets to Wild Adventures to see the legendary band “Foreigner” LIVE and IN CONCERT on April 27th! For your chance to WIN your way IN, keep it tuned to “The John Baker Show” April 18th – April 24th and when you hear the Wild Adventures cue-to-call-in be caller #10 to WIN 4 tickets! Foreigner LIVE at Wild Adventures! The All-Star Concert Series at Wild Adventures Theme Park continues Saturday, April 27 with legendary rock band Foreigner, live in concert! Experience one of the best-selling bands of all time, responsible for some of rock and roll’s most enduring anthems, including “Juke Box Hero,” “Cold As Ice,” I Want to Know What Love Is” and more! Foreigner live in concert at Wild Adventures on Saturday, April 27. The show is included with park admission or a season pass. 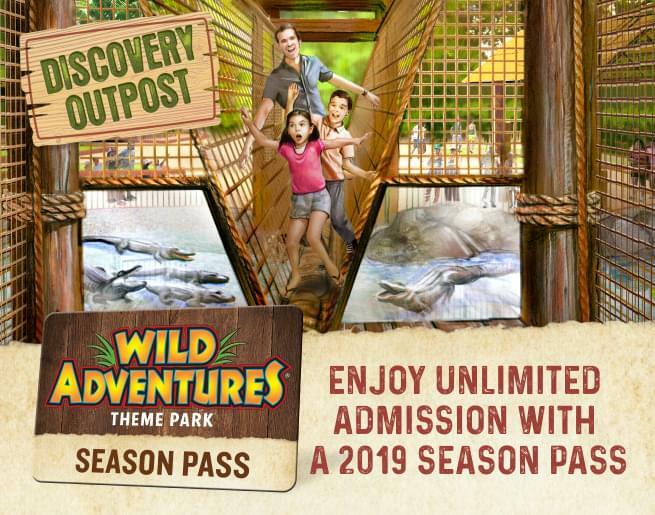 Get your tickets or a season pass now at WildAdventures.com!